IBM Watson recently partnered with a drone company in search of new advancements. The result? Artificial intelligence (AI) powered drones. Advanced computer programming lets drones make decisions on their own. They can be piloted by software that simplifies the commands while opening a whole new world of possibilities. AI-powered drones—drones operated using artificial intelligence—are certainly not the first advancement in drone technology, but they are one of the most promising and sophisticated advancements we’ve seen to date. To suggest this is a game-changer is an understatement. Technology of this sort could transform the business world as we know it. Increased productivity. Unlike pilots, AI drones don’t need breaks, so they can work harder for longer. More efficient flight paths. AI drones can use GPS mapping and other technologies to find the most direct route. Mobile weather decisions. Some AI drones can avoid poor weather on the go. Pilots should plan ahead of time, but artificial intelligence provides the ability to avoid interference instantly. Higher efficiency. Since they don’t need individual pilots, multiple drones can be flown under the supervision of one person. An entire fleet is a possibility, even for the smallest businesses. Advanced steering. Automated drones can fly around obstacles. Trees, power lines, and buildings present challenges under normal circumstances, but mapping technology can easily overcome them. While AI-powered drones offer plenty of general benefits, there are also specific applications where these drones can serve their purpose better than others. Surveyors and map making companies, for example, can use drones to fly over areas in need of examination. The devices can be fitted with cameras and other mapping equipment for highly detailed readings. In addition, automated drones provide many opportunities for retail businesses. Imagine a future where your fast-food order is dropped at your doorstep by a drone, or your online order gets zipped into your window. Stores deliver small packages quickly and efficiently, with fewer risks of merchandise mishaps. Perhaps the biggest customer for future drone deliveries is the United States Postal Service. Mail could be dropped at specific locations following the most efficient path instead of long and curving roads. Because drones don’t stop for lunch breaks, costs would be slashed. AI drones offer exciting possibilities for security companies as well. They provide aerial views and tireless surveillance without extensive installation. Law enforcement agencies can benefit in particular. 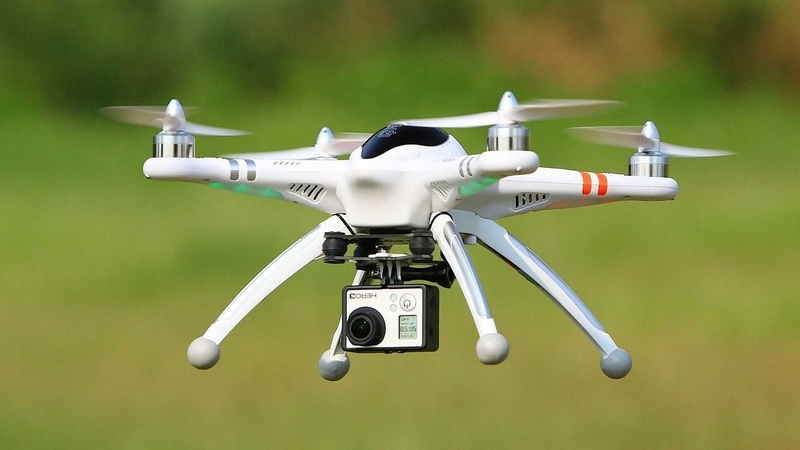 Drones could survey for crime or watch riotous crowds from above. It’s possible they could be fitted to eject crowd-dispersing agents like smoke grenades, elevating crowd control without placing officers or protestors in danger. There are hundreds of potential uses for automated drones, and companies must keep up with future technology to stay competitive. Businesses from security to packaging can benefit, but that’s just the beginning. Smart entrepreneurs should consider specific ways drone technology—especially smart drones—can transform how they do business. AI-powered drones are likely the next step for digitally upgrading your business. Keep an eye on drone development and how it will affect the future of your business.